In today’s post, you’re going to learn the best and most proven ways to quit smoking. Although a small percentage of people who quit smoking do so quite easily, the majority of people need a multi-disciplinary approach. The addictive nature of habits in general. To successfully quit, you need to understand all these types of addictions and have a plan to deal with all of them. Don't look for a magic pill. If you want to successfully quit smoking, you need discipline and self-control. Looking online, searching for methods to quit smoking, you’ll quickly find several ways which claim to do all the work for you. Just take this pill, use this gum, get this therapy and you’ll be able to quit smoking effortlessly. Is there such a magic pill that makes you quit smoking? Anyone that believes that a multiple-year old habit which habituated on a daily basis and is fully entrenched in your brain, is easily broken in a matter of days or weeks with some magical product is highly delusional. Sorry, today’s post won’t be comforting, acting like a warm blanket covering you on a cold winter night, telling you that all will be well if you mindlessly use this or that product. Quitting ANY longtime habit which habituated on a daily basis is going to take a serious amount of effort from you or such a strong mind-shift that you see no other option (like when you're in a situation where it's quit or die because of acute heart-attack risks). There are methods, or better yet: a combination of methods and (psychological) tools, which are more proven for this task than others, and that will ease your journey significantly. Every single day without smoking will give a massive boost to your confidence and self-esteem. Self-control indeed is one of the best ways to boost your confidence, self-esteem, and success in all the other areas in your life. If you’re serious about giving up smoking, you’re going to have to take a multi-disciplinary approach, and this includes understanding the psychology of breaking any habit. This is needed because any method that you use to quit smoking (vaping, nicotine gums, etc.) has to rest on a solid psychological foundation. A longtime habit like smoking is entrenched in your neural pathways. If you repeat a particular behavior, over and over again, it becomes part of your biology. 1. Quitting any habit takes a serious amount of conscious effort for a certain period. You are going to rewire your brain, and going to go against your biology. Going against your own biological/psychological habits and desires is often a tough task. You may find it easier than the next man, but at least mentally prepare for it, so you don't get caught off guard. The quicker you come to terms with this, the more successful you’ll be. 2. You need to know the reason WHY you’re quitting smoking exactly. It’s proven that a behavior change based on personal value is more effective than based on external demand. Do it for yourself, respect yourself and your body. You deserve a healthy body and a healthy life! But to do it for yourself, you need to know WHY you're doing it exactly, and always keep the goal in mind when the going gets tough. The second reason is that having a clear motivation is a critical part of influencing your subconscious and unconscious mind. That the new habit continues to persist, even after conscious motivation and effort have weakened. Because let's be honest: your conscious motivation will weaken at some point…and before that, you want to have gotten to a place where quitting smoking has become part of your unconscious habits and behaviors. For this, it also helps to get a clear and concise list of motivations on why exactly you want to break a particular habit (smoking). Write down your goal (“I am a healthy and smoke-free person,” for example). I highly recommend you positively frame your goal and as if it’s already true as this is proven to be WAY more effective compared to framing it in a negative way of not doing something (“I am a smoke-free person” is better than “I will quit smoking”). Always focus on where you want to be, not on that which you want to avoid. A list of all the adverse effects that smoking brings. You need to say out loud your goal and list of positive motivations every morning when you wake up and every evening when you go to bed, for at least 2 months. This method is one of the most effective ways to influence your subconscious mind…and as much as I would have loved it to be otherwise, unless your enlightened, you’re for a large part controlled by your unconscious and subconscious mind. So, you NEED to do this. 3. It’s much easier to replace an old habit with a new habit than to lose a habit. First of all, you can’t make a habit out of not doing something! A habit is an active behavior. “Every morning when I wake up I don’t drink coffee.”? We don’t make habits out of not doing something. So the solution here is: replace your old habit with a new one. Secondly, one of the best ways to break a habit would be to remove you from the environment which triggers the habit you want to break. When there are no environmental triggers around you, breaking a habit is 10 times easier. Triggers play a vital role in habit formation. Unfortunately, the case with many habits like smoking is, that the environment which triggers you, is the day to day environment you’re living in…and; therefore, you can’t quickly get away from it. You need to override your old behavior for new behavior, which you can default to when you’re being triggered…because let’s be real here: you’re going to get triggered. But it consists mainly of learning a new practice which replaces the old one. 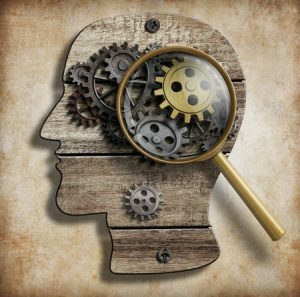 According to some researchers, it’s virtually impossible to truly ‘unlearn’ an old habit. We can move on to the tools and products you can use to replace the act of smoking. What Makes Vaping Such an Effective Tool to Quit Smoking? In the psychology behind breaking any habit, you’ve learned that one of the most effective ways to break a habit is to replace it with a new one. That’s precisely one of the reasons why vaping is such an effective way to quit smoking: It’s very similar behavior to smoking. Plus, if you get an e-liquid with nicotine, you will satisfy your nicotine cravings as well (I highly recommend slowly phasing any nicotine out of your life, but more about that later). Electronic cigarettes can be one of the best tools you can use to quit smoking. Some flavored e-liquids (e-liquid is the substance you use to vape and put in your vaporizer) contain unacceptable amounts of harmful/carcinogenic compounds. Study 2: flavored e-liquids promote oxidative stress and inflammatory responses in your mouth by causing DNA damage to periodontal cells. If you’re looking for a healthy alternative to smoking, please stay away from untested and uncertified, flavored e-liquids. You don't want to be substituting one unhealthy habit for the other. 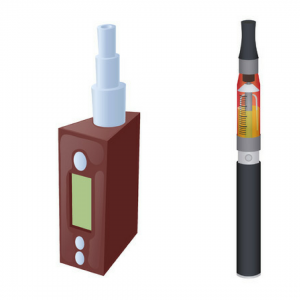 Which e-liquids should you use to minimize any health risks? These compounds are respiratory-tract irritants. To make it easy on yourself, you could also get unflavored e-liquid. Because the compounds you want to avoid, are shown to be present mostly, if not only, in flavored e-liquids. I still recommend always getting your e-liquid from a trusted source, whether it's flavored or not. 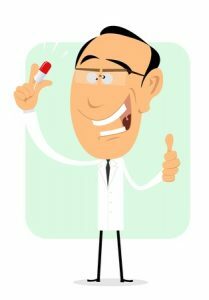 A trusted source is any source which has official certificates of independent 3th-party lab-testing of their e-liquids. The second step is getting a vaporizer (e-cig, vape pen or box mod with a tank), which re-creates the smoking-experience, also called: Mouth-to-Lung vaping (MTL). Make sure you vape at low voltage, wattage, and low-temperature settings. Research done in 2016 found that high-voltage vaping produced significantly higher amounts of toxic compounds and toxicity than low-voltage vaping. High voltage directly translates to high wattage and high temperature. If you want to minimize your exposure to any toxins, please…keep your vaporizer at a low voltage/wattage/temperature setting. If you have a fixed-wattage vaporizer like the Innokin Endura T18, there's not much you can do to play with these settings…in such a case you need to make sure the average voltage, wattage or temperature is on the lower side. What is a safe, low-voltage, low-wattage or low-temperature setting? Low temperature: Below 392°F(200°C). When you go above this, you risk inhaling benzene and other toxic by-products. WAY less than with smoking mind you, but still…you might want to minimize any health risks. So if I follow these 2 rules, will I stay 100% clear of any harm? Unfortunately, no one can guarantee this. All you can do is minimize any risks with the rules above. Inhale something which is healthy for you? So what happens when you vape CBD vape-oil? You’re now inhaling something which will help intervene with the neural circuits that are associated with your addictive behavior (smoking). All you need to do, in addition to getting quality CBD vape oil from a trusted source, is get a quality e-liquid vape pen from a trusted source! And below is our recommended CBD vape oil. To vape this, you'll need an e-liquid vaping setup or vape pen like the Innokin Endura T18 above. You’re not feeding your nicotine addiction like you would with e-liquids. But this is precisely the benefit at the same time since nicotine is quite the unhealthy compound. Maybe, all this vaping stuff, for whatever reason, doesn't interest you. And you're looking for something completely different. Are you out of luck now? One part of the addiction to smoking comes from the nicotine. Nicotine is a highly addictive substance, partially because it acts as a stimulant in the low doses you absorb when smoking. 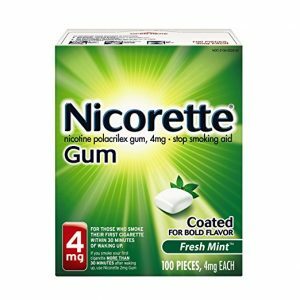 Nicotine gums and nicotine patches have been proven to be quite successful in helping smokers quit. By chewing on nicotine gum, you replace your old habit with a new one as well (like with vaping CBD oil). Most smokers are not only addicted to nicotine, but usually even more so…addicted to the physical act of lighting a cigarette up and the physical act of inhaling and exhaling smoke, and a small moment for oneself. Although chewing gum is also an oral activity, it won’t be the same as inhaling and exhaling something, and thus might not be the right alternative for you. Vaping is much closer to smoking as an activity. 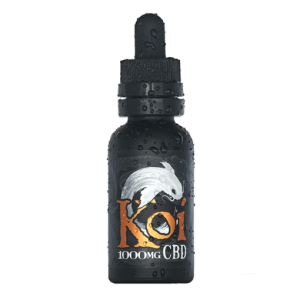 The one short-term pro of using nicotine gums or nicotine patches compared to CBD vape oil is that your body’s cravings for nicotine will be satisfied. In the long term, however, you want to be completely clear of any nicotine. If you go for the option of nicotine gums or nicotine patches, I highly recommend you start phasing them out slowly and maybe change it to regular gum in several months. 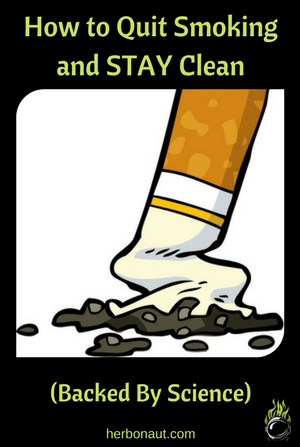 Even with the downsides though, nicotine gums or patches are still better for your health than smoking! For all you herb smokers out there, let me tell you a quick personal story. My general health just felt a bit off. Also the longer I smoked, the more often my sessions would consist of me getting extremely lazy and just glued to the couch, feeling like all I could do was lie down and doze off (I was smoking with tobacco as well then). Until I learned about vaping. 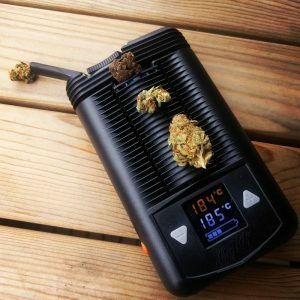 The moment I got my first vaporizer, I never looked back. I just felt alive and vibrant in general. Also, the effect of the herb completely changed. It rarely feels like getting hit by a truck (although you could produce this specific effect with a monster vaporizer like the VapeXhale Cloud EVO). But the added benefit of a vaporizer is: using pure herb is just SO much more comfortable with a vaporizer! Just grind a little, put it in and vape it up. Then there's the benefit of needing much less herb to get medicated, which will result in a massive return on your investment in the long run. Vaping weed simply is way more efficient than smoking it. If you're smoking weed, I highly recommend to check out a dry herb vaporizer and give your airways and body their much-needed break. In today’s post, you’ve learned the best and most proven ways to quit smoking. You now know that quitting smoking is best approached from multiple angles. First, to quit smoking, you want to do the right preparatory psychological work. And then only, you will consider using a tool like a vape pen or a nicotine gum to aid you in the process. You’ve learned that regular e-liquid-based e-cigarettes are unhealthy and therefore not suited if you’re looking for a healthy alternative to smoking. You’ve also learned the right way to use a vaporizer: vaping CBD oil. And if you’re afraid that your nicotine addiction will make it too hard for you to quit, you’ve learned that nicotine gums and nicotine patches are a viable alternative to smoking, at least in the short term. After today’s post, your chances of successfully quitting smoking have risen tenfold!